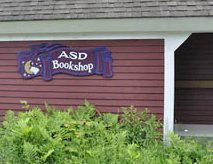 The American Society of Dowsers Bookstore is located in the national headquarters building of ASD in Danville, VT. The American Society of Dowsers was formed in 1961 to teach, promote, and preserve the timeless practice of locating underground water and other targets of interest. The ASD Bookstore is a full service retail store with daily shipping across the country and around the world, Monday – Friday. Please call us to inquire on any of our products. We are here for you! We ship Monday – Friday with the exception of major holidays. Orders received before 10am Eastern Standard Time usually ship the same day. We mainly ship via USPS. UPS is available for additional fees, must call to place order for this shipping method. You will receive a tracking number for your order after it ships. We use industry standard SSL encryption in our checkout process, ensuring your information is secure. The ASD Bookstore processes all payments through the secure Paypal App. You do not need an account with Paypal to place your order online. You can also call us Monday – Friday from 8am – 4pm EST to complete your order by phone.